Carlos Perrone (Host/Executive Producer) embraced his inner geek in early childhood while growing up in Uruguay. At the age of 10, he moved to the States and continued to entertain himself with all things geek. It wasn't until college that he found a group of people who enjoyed debating story lines and entertainment quality. Carlos went on to marry a very patient girl who refuses to dust his many collectibles (and who is obviously writing this,) yet puts up with them nonetheless. He also managed to pass the geek gene on to his two children. After taking his family to many Star Wars Celebrations, and New York ComiCons, he wound up adding even more layers of "geek" to his persona. He watches copious amounts of movies and television at his home in Florida. Kyle Perrone (Co-Host) is the son of Carlos and is part of the newest generation of geeks. He is a fan of Star Wars, Marvel, Walking Dead, and many other films and TV shows. James grew up in the 70's and 80's on a steady diet of Star Wars, Star Trek, Miami Vice, Doctor Who, Emergency!, and Alf (yes Alf). It is no surprise how and why he and Carlos gravitated towards each other in college over these and many other geek/nerd interests. Among his travels (or, GFR Correspondent on Assignment) he has visited the Doctor Who and Harry Potter sets in England. And when it comes to toy collecting, few people can compete with his Vintage Star Wars toy collection, although Carlos tries. Zeke Springer or Zeke the Freak, as he is known on his Tumbler page, was born the youngest of four children in the Boogie Down of NYC sometime during the late 1960’s, Zeke used his intellect and charm to make his way out of the housing projects into the prestigious Bronx High School of Science then to St. John’s University and then into the world of Communications. His working class roots taught him that nothing is worth having if you don’t have to work for it. Zeke loves and welcomes a good debate but it has to be in the spirit of honest debate and truth. Blind adherence to ideology is not allowed. Though he leans Left, Zeke is open to any other view points as long as it comes from a place of honesty and truth. Zeke loves to give insight into the latest goings-ons within pop culture. Zeke the Freak is a veritable walking encyclopedia of pop culture information. With his mastery of “Useless Information”, Zeke the Freak will drop knowledge about the latest comic book, movie, television and sports happenings. Steve Vivona appropriated the title of “Head Geek” when he started hosting Geek Fests in 1994, just because he felt like it and it fit his outsized ego. He somewhat earned the nickname because of his unyielding obsession to get his hands on any Geeky piece of film and television, no matter how obscure or rare. During the Geek Fests he would often showcase his latest conquests for his fellow Geeks, like a hunter showing off a prized lion. Steve’s obsessions include (but are not limited to): Star Trek, Star Wars and the Marvel and DC pantheon of superheroes. His all-time favorite TV shows include most iterations of Trek (except Voyager), Buffy the Vampire Slayer,Babylon 5, Battlestar Galactica and Firefly. Ironically his all-time favorite film is of the non-Geeky variety – Rocky, (although The Empire Strikes Back is a close second) and he cried like a girl at the end of Rocky Balboa. He currently lives in Huntington, NY, with his wife Tracy and his cat Kallie. Mike Sutton is GFR's resident Kaijuologist. His love for TOHO’s Giant Monsters has taken him around the country and the world! His earliest memories of watching Giant Monsters began when he was around 8 years old on Thanksgiving Day. While everyone was watching the Marcy’s parade and getting ready to stuff their faces with turkey, Mike was craving a viewing of King Kong, Son of Kong, and Mighty Joe Young! Dessert didn't arrive until Friday in the form of King Kong vs. Godzillaand 2 other classic TOHO movies. Besides giant monsters Mike shares a love for the classic Sci-Fi movies of the 50s, collects comic books, musical scores and, more recently, autographs and movie memorabilia. If you ask him which is better, the originals or the modern day remakes he will say, "THE ORIGINALS … you have to ask?! " Mike lives in Queens, NY, surrounded by his Bandai toy collection. If he is not watching re-runs of M*A*S*H or The Big Bang Theory, he can be found listening to either the musical score to Gojira by Akira Ifukube or watching Conan the Barbarian for the 1,000,001th time. Brian...visionary...man among men....warrior-poet....he is none of these things. What he is is a man torn between traditional fanboy fare and artier stuff. His role in the group is somewhere in between the harder-core geeks (Carlos and Steve V) and Rob's more art-house sensibilities. He can participate in conversations with his fellow geeks about the entire film career of William Shatner(not pretty) or participate in discussions with Rob about the artistic collapse of Francis Coppola. 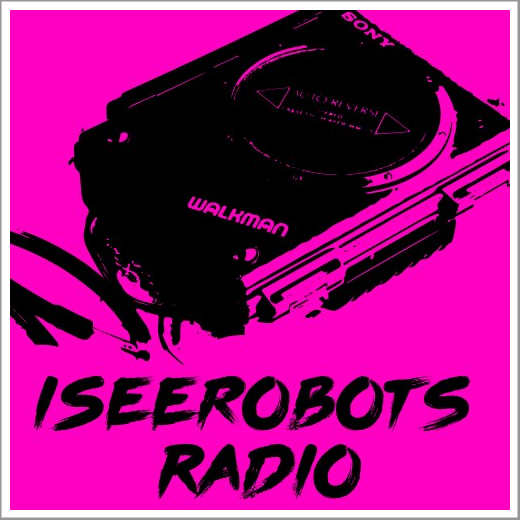 His favorite films range from 2001 to Raiders of the Lost Ark to Point Break.Music runs the gamut from classic pop to electronica. He lives with his wife in New Jersey. Steve developed his passion for music, movies and TV at an early age. Christmas came early in those days, in the form of the TV Guide Fall Preview episode. In this early VCR/pre-DVR era, hours would be spent dissecting the proposed fall schedule to plot out what shows would make the cut and which would be relegated to re-run viewing. Remember the Pac Man cartoon anyone? The abbreviated list of film favorites includes Raiders of the Lost Ark, the original Star Wars trilogy, anything Sam Raimi has done, John Carpenter and the Harry Potter series. On the TV side of the equation there's Cheers, Family Ties and, of course, Lost. Music includes, but is not limited to, Rush, Depeche Mode and heavy metal, with a proclivity towards guitar virtuosos. Steve currently resides in northern NJ with his wife Brenda (a fellow SJU alumni and "she-geek") and their three children. Tony is the black sheep of the group because he actually prefers wholesome entertainment like The Andy Griffith Show and It's a Wonderful Life to action movies. He also remains a staunch champion of VHS tapes and believes color TV and movies are just a passing fad ("If black & white was good enough forCasablanca, it's good enough for the rest of the medium!"). However, since Tony is a fan of Star Wars, comics, and more recently Lost, he was drawn to the geeks like a moth to a flame. And much like Linus in the "Peanuts" comic strip, Tony offers theological insights into the discussion when they're called for ("That's what Christmas is all about, Charlie Perrone."). Tony's age is rumored to be somewhere between 40 and 672, but the truth remains a mystery. Regardless, he looks darn good for his age. Rob brings what he thinks is some balance to the steady diet of mainstream material that usually passes for entertainment among the geeks. 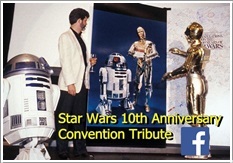 While Steve, Carlos, Steve, Brian, and Tony are ranting about how much more money they're being "forced" to give George Lucas for his 15th home video release ofStar Wars, Rob is sitting there urging them to check out the latest Kurosawa Blu-ray, or the most recent Oscar winner for Best Foreign Film. It's at that point when the other geeks pull out the pliers and the blowtorch... Rob grew up a huge movie buff in Astoria, Queens, and his proximity to Manhattan and its art house theaters helped feed his interest in non-Hollywood fare, though he's been known to enjoy a good, cheesy action movie now and then. His favorite films include The King of Comedy, The Taking of Pelham One Two Three (the original! ), The Third Man, Apocalypse Now, and 2001: A Space Odyssey. He now lives in Kew Gardens with his wife Eileen and their two boys. Tom LaSusa's first real recollection of geekery is having his father drive him all around Queens one late70's Saturday morning, from Middle Village to Jackson Heights to Forest Hills, scouring stores for a Jawa action figure. When other kids in his neighborhood were tossing footballs and hanging in the park, Tom was carefully arranging his GI Joe figures into battle scenes on his dresser, and using an old SIMON electronic game as the centerpiece for a makeshift TARDIS console in his bedroom. Tom is now married and living in the vast wilderness that is Long Island. When he isn't working on plans for next year's Halloween front yard display, Tom fixates on Adventure Time, Supernatural and Doctor Who, complains bitterly about the unnecesary changes stemming from "The New 52," and pretends to be upset when his boys beat him in a game of "Munchkin." Kim Perrone is the blog designer and Publicity/Public Relations Manager for Geek Fest Rants as well as a sci fi and fantasy fan girl. She is married to Geek Carlos Perrone and is happy that he finally has a purpose for his endless vat of movie and television knowledge. 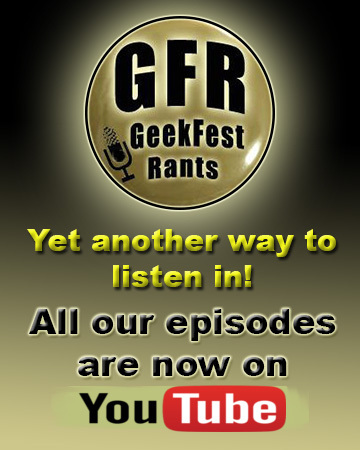 *Contact Kim at geekmail@geekfestrants.com for interview and advertising opportunities with GeekFest Rants.